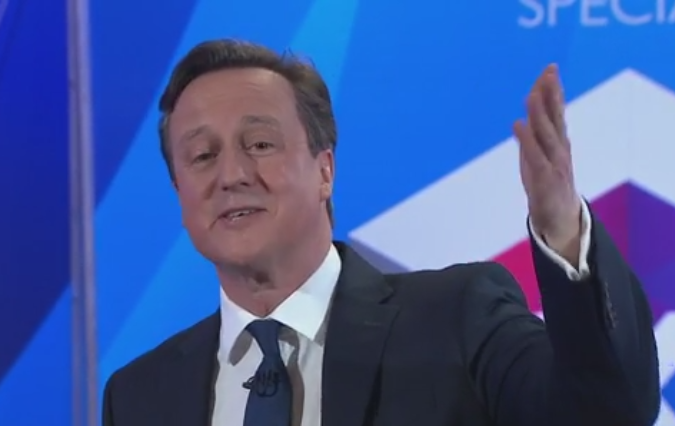 In that one sentence last night David Cameron dismissed my life as nothing. My family were poor. We received benefits when my dad worked, and we received benefits after work made him disabled. I went to university in spite of this background, and received a student grant. While I was studying I became sick with what I would later find out was a mitochondrial disease. I still worked when I could, albeit intermittently and claiming incapacity benefit at times. Later I started a computer repair business but became too sick to work after a year of that. Now I live on benefits – I am in the Support Group on ESA, which is for people that even Atos and the DWP admit are unlikely to be able to work in the foreseeable future. I also receive DLA, Housing Benefit and various others. What none of this has done is make my life worthless. I do not have “no life at all.” I am a person, with experiences, who has contributed to society just by being myself. I enjoy things, I create things, I learn things, I say things. I talk to friends and make new friends. And all of this despite starting my life on benefits and continuing it now on benefits. All of this despite the fact that I may never be able to undertake paid employment again. Except it’s not, though, is it. Helping people to find paid employment is not the most moral thing, even if that was what the Tories had been doing rather than yanking away support and telling people to sort themselves out. What is actually the most moral thing is making sure that all people have food and shelter, and the ability to live a life that they find value in. Paid employment is only one path to that. Paid employment (or attempting to start your own business, for that matter) is an option that is for many not available – whether that is from lack of available jobs, lack of training, sickness and disability, caring responsibilities, or some other reason. We as a society are able to provide for everyone. Less labour is required to feed and clothe us with every new day. We do have jobs that need doing, such as in care and healthcare, but private employers aren’t going to pay for those. If we want more people to be employed then others are going to have to work less. But employers want to extract maximum profit from the minimum amount of pay so that isn’t going to happen any time soon. One thing is certain: People like David Cameron and Iain Duncan Smith have no idea what the lives of people on benefits are like but they judge us anyway. They decide we have miserable meaningless lives but then make everything so much worse by snatching away support and telling us to get jobs that aren’t there or that we are unable to do. Agreed 100% – I’m a disabled single mother – my son turns 5 in September. I’m so anxious and terrified of when they turn me from Income Support to ESA (at least I WILL be on ESA – the question is support related or work related) – my condition has actually been deteriorating over time especially my mental health and I’m sure that part of that is due to the fear IDS and David Cameron engender – my future and my son’s future is so uncertain – I’m ridiculously scared. Frankly, I think people like David Cameron and Iain Duncan Smith don’t understand the lives of the vast majority of people who do not believe they have a natural right to rule over other people in a manner more befitting a despot. But… yes. Although, I will say this: The Tories have done their very best to *ensure* that a life on benefits is no life at all. Gone out of their way to do so, in fact, and they’ll continue to go further if they get anywhere near power after May 7. I think that’s deliberate; I think they want people to prefer suicide to signing on. Previous Previous post: Mental health treatment in the Job Centre – what could possibly go wrong? Next Next post: A Union (or whatever) of Disabled People?